Listed below are just some of the items we have available for dressing your venue. If what you require is not on this page please contact us as we are getting more and more stock all the time. 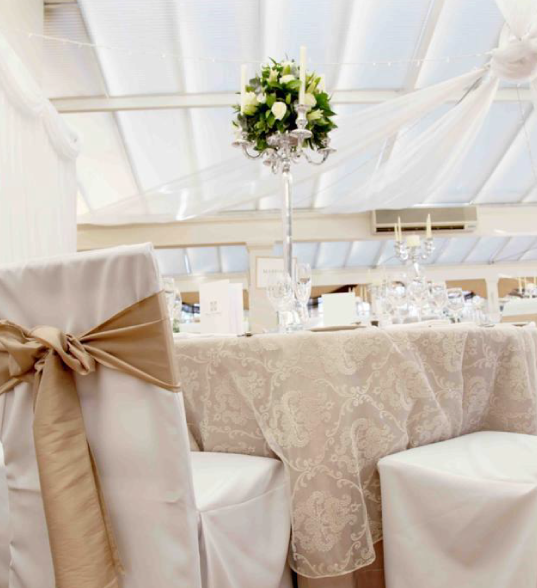 Table Linen – All shapes and sizes of table cloths available. Table Runners and Overlays – Table runners and table overlays to co-ordinate with your chair bows, again these are manufactured in house so if we don’t have your colour, show us a swatch of the colour you need and we can get as close as possible match. Metal Arch – Metal archways decorated with flowers and twinkling lights. Light Curtain – This creates a spectacular backdrop to the top table with twinkling or static lights. The curtain can be up to 20 foot long and between 7 and 12 foot high. It does book up very fast so order early! Bay Trees – These look great placed around your room especially each side of an entranceway. 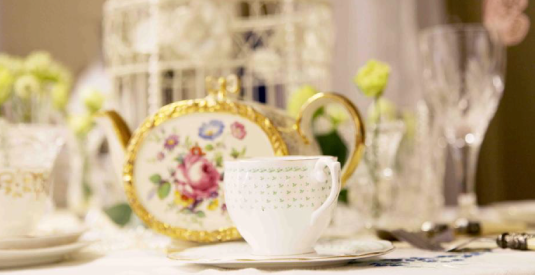 They can be decorated to suit with fabric, flowers, twinkling lights and other accessories. Table Mirrors – We can supply round table mirrors of various different sizes. Napkin Decoration – We can supply napkins or we can collect your napkins from your venue and decorate as necessary. Candles / Tealights – Candle create a romantic glow around your tables. We have tea-lights, floating candles, miniature pillar candles to name but a few. Charger Plates – Currently available in silver or gold. Sprinkles – From metallic table confetti to Swarovski table diamonds and everything in between. Floor Arrangements – Many helium balloons can be tied together into a floor standing arrangement. Fully customisable. Exploding Balloons – A giant 3 foot round diamond clear balloon is filled with 100 baby balloons and flutter fetti. The balloon is suspended from the ceiling and at the desired moment is remotely exploded (usually by the DJ). The bride and groom are then showered with the baby balloons and flutter fetti. A great special effect for you and your guests to enjoy. Arches – Balloon arches can be placed anywhere from over/behind tables (buffet table, cake table, top table), over entrances, around your dance floor etc… They are an extremely versatile decoration and can be made in many different styles. Columns – Great for each side of your entrance. Accessories like twinkling lights and feathers etc… can also be added. The design possibilities are endless. Columns can also be linked with arches. Canopies – A full canopy of balloons above your dance floor. The canopy is attached to four columns which stand on the four corners of the dance floor. 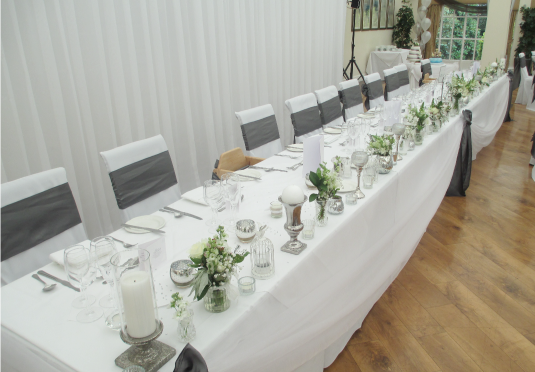 Cloud Nines – Cloud nines are floating ‘clouds’ and are most popular behind the top table. 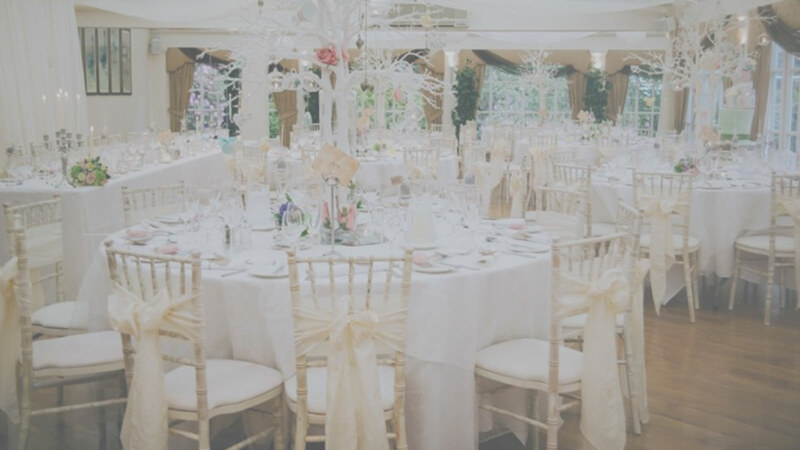 Three or five cloud nines can be linked together with ribbon or tulle to create a beautiful backdrop to your top table. Sculptures – From miniature to giant bride and grooms, giant hearts made from balloons, giant champagne bottles with balloon bubbles. Many different things can be made from balloons.